This is Part 5 of the BOOKLETS WITH COLOR BARS article. On 1/24/1994 the Ministry issued the first “Portable Booklet” to commemorate the 21st U.P.U. Congress (3rd issue). This issue started the color bars for a total of 15 issues through 3/27/1996. All of these were in the “Portable Booklet” format. For explanation see part 1 in this series. 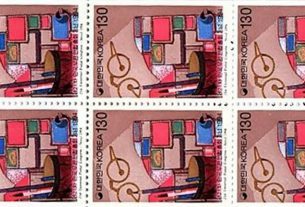 Cover of booklet for stamp S1591a/KPSC-R276, issued on 2 July 1990. Note the White color bar (back side of booklet). 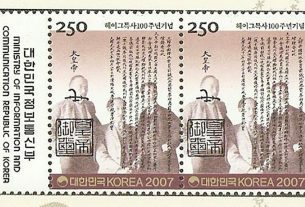 Cover of booklet for stamp S1727a/KPSC-R325, issued on 16 October 1995. Note the Dark Green color bar (back portion of booklet). This concludes my article on the color bar booklets. 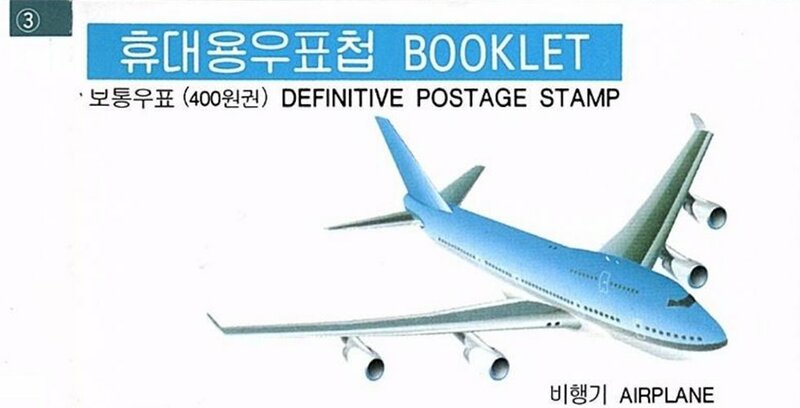 If you have any questions about South Korean booklets feel free to contact me via the new Korean Stamp Society website. 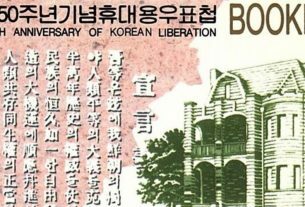 This is the fifth and final part of a series of articles by Stewart Steres on the color bars seen on certain booklets published by KoreaPost. For the introduction see part one.